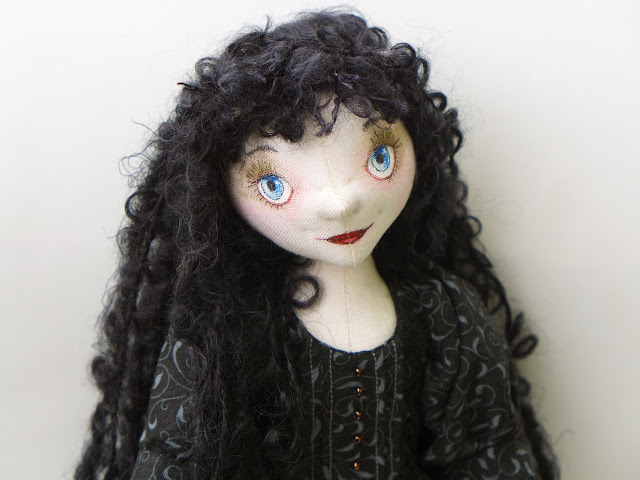 The Fairies Nest - OOAK Cloth Dolls & Fiber Fantasies: Still in the Dark..
And next is Katherine. She's been feeling very strange lately. Perhaps it's because of the nightmares...all knives and teeth and blood... they always leave her So tired. Maybe it's because all her friends have slowly begun disappearing... leaving her feeling very...well.. Angry! All she knows is that it started about the time she found her new dolly...the one whose dress is always stained no matter how much she washes it. 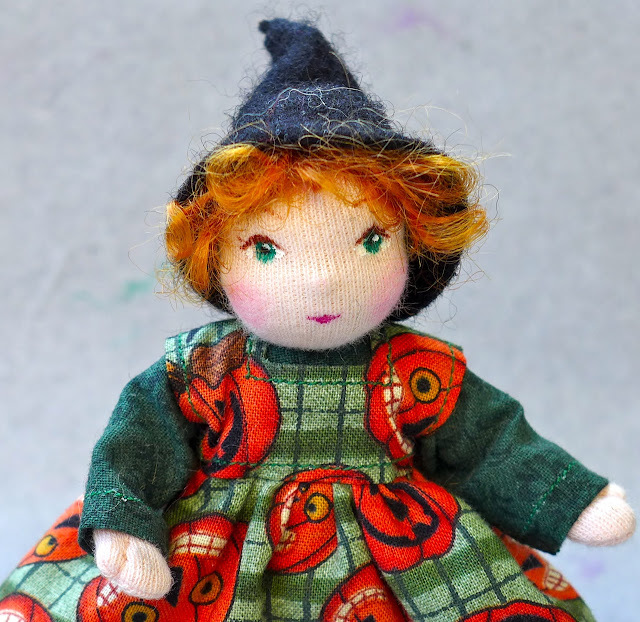 Both of these interesting ladies can be found in my shop ...along with some lighter fae folk like this little witch. See I haven't gone totally to the dark side....yet. Thanks Mary Anne! No secrets:) I use different fibers for different dolls. Lila's hair is a mix of two boucle yarns, one mohair wool and the other micro fiber. Katherine's hair is made of Teesdale locks and the tiny witch also has boucle mohair yarn. 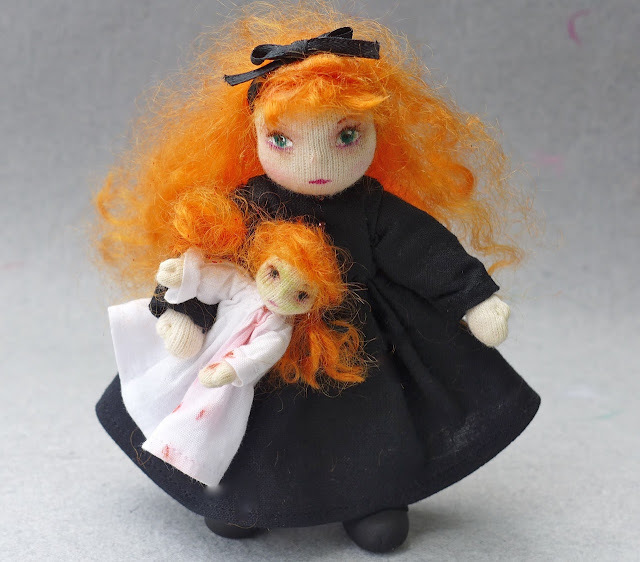 I collect lots of different fibers to use for hair and then see which ones will fit the doll's design.